Sunday 16th September saw the official opening of a new Community Music Centre at James Allen’s Girls’ School (JAGS) in East Dulwich. 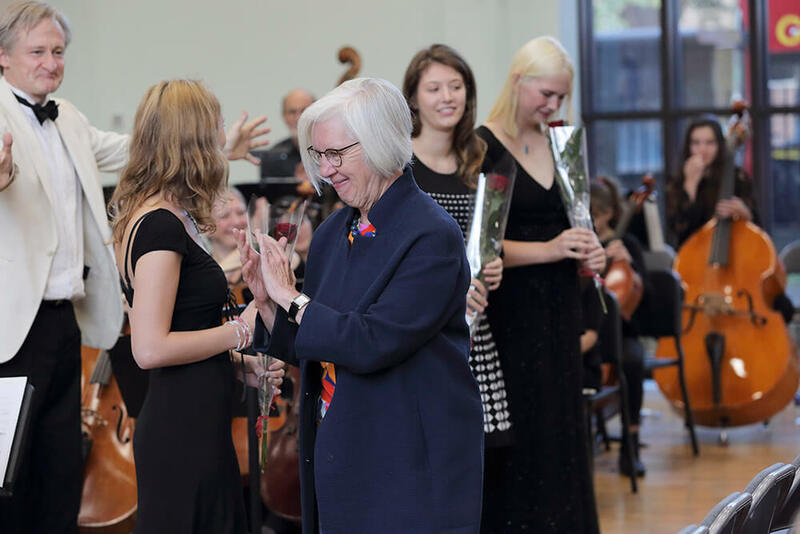 The two opening concerts featured performers from both the school and the local community and were attended by special guest Judith Weir, Master of the Queen’s Music, and actor Toby Jones who compered one of the two concerts. As well as featuring world premieres composed by three JAGS pupils past and present, the concerts also showcased two bespoke works composed by JAGS Director of Music, Peter Gritton – one A Very Young Person’s Guide to the Orchestra played by the JAGS Festival Orchestra, the other a work for orchestra and choir depicting an imaginary journey from Earth To Mars. Some members of the community got to roll massive dice to determine which sections were to be performed in this perilous journey! In the week leading up to the opening, JAGS pupils from 4-18 years were able to participate in a range of musical performances in and around the centre culminating in a celebration of singing. 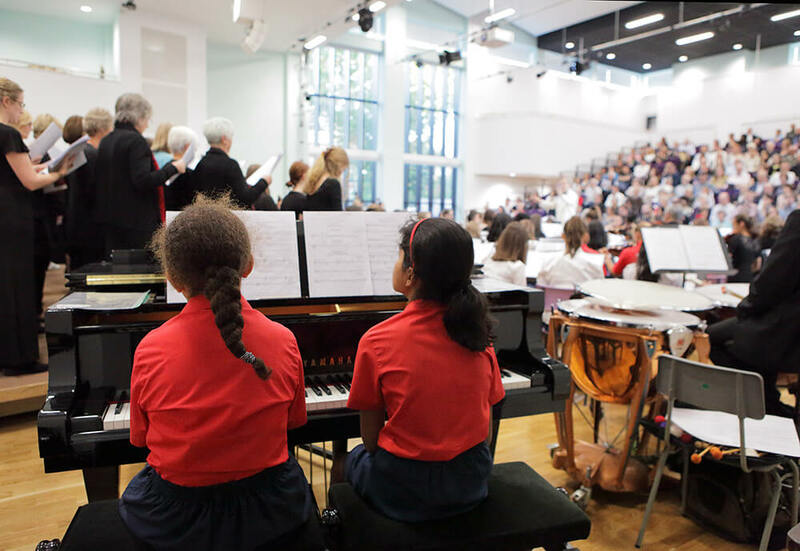 The centre will provide the school and local community with complete facilities for music of all genres from orchestral and choral through to contemporary bands and soloists. The vast Vaughan Williams Auditorium will be the centre piece with capacity to seat audiences of up to 500 people and providing state of the art professional lighting and sound equipment. There will also be ample space for performers to rehearse ahead of their shows with 15 practice rooms. Headmistress, Sally-Anne Huang said: “We are delighted that our new music centre is now open. We have already hosted a number of successful events with local groups and businesses and look forward to continuing to do so. This is not just about JAGS, this centre is for everyone to enjoy music.